It is going to be a split week as far as temperature goes in the United States. 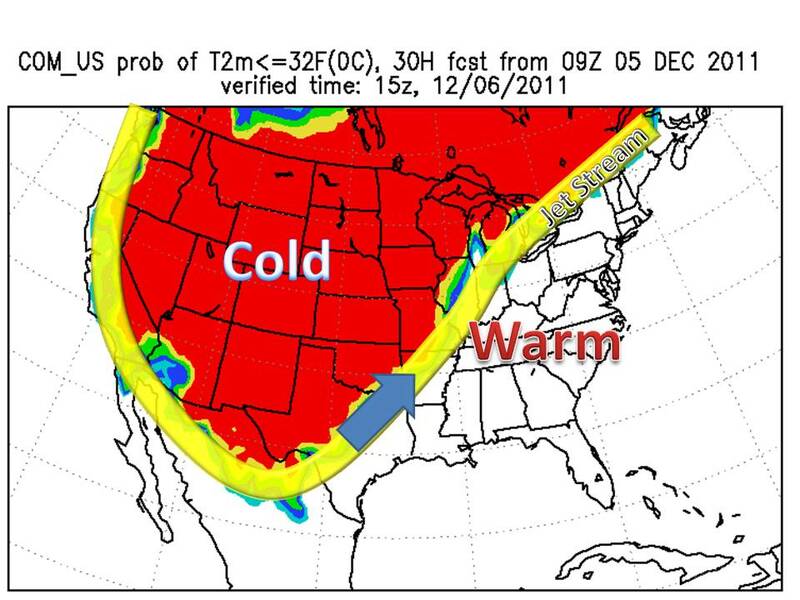 The midwest will be cold and East will be warm. 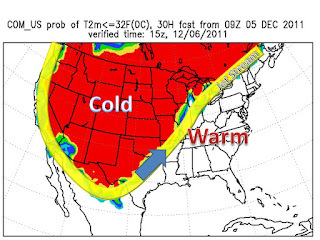 The Pacific Jet will dip south and allow colder air in from Canada. The opposite holds true for the eastern half of the country, the jet will lift north and allow warm gulf air into these areas.